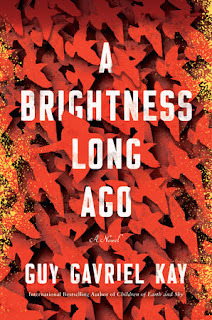 This review originally appeared on The Speculative Herald. 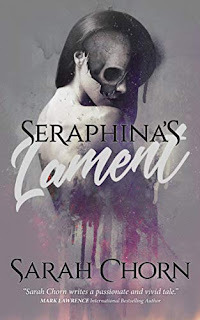 Larry Correia is an author best known for his guns-and-monsters, no-holds barred, testosterone-soaked urban fantasy sagas, Monster Hunter International and the Grimnoir Chronicles. 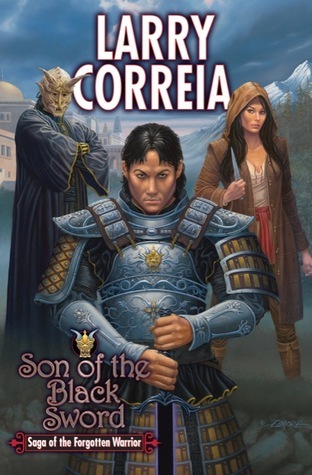 For those who were curious as to how he'd make the transition from guns to swords, Son of the Black Sword is pretty much everything you'd expect, with his macho sense of almost superhuman bravado slipping well into a pulpy heroic fantasy world. It's not great literature, and lacks a certain polish in the narrative, but it's an engaging bit of fantasy fiction. The world building and mythology encompass a very South Asian flavored world, which is a nice change of pace from mostly European fantasy, but there's an important twist - instead of the seas providing prosperity and purpose, they are something to be feared, dotting the coasts and the beaches with the cobbled together hovels of the lowest of non-people. You see, due to an age old supernatural pact, man commands the land, demons command the seas . . . and the Law states that any who trespass must die. Lok is a bland, bureaucratic world, full of rigid caste systems, where faith and superstition are forbidden. 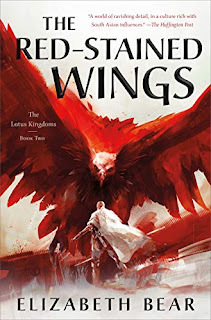 It's so deliberately constructed that if you don't see the threat of rebellion coming in the first few chapters, and don't anticipate the rise of a prophesied hero, then you're clearly not aware of the genre's central tropes. As part of the mythology, ancestor blades are a relic of the days before that pact. Only one of these rare blades can pierce a demon's hide, and they carry within them the skills and instincts of those who wielded the blades before. Whereas authors like Moorcock and Sanderson have done some really fascinating things with such weapons, using them to elevate the narrative to another level, here they just come across as another fantasy trope. Not bad in and of themselves, but certainly a bit of a cheat in justifying that almost superhuman bravado. On that note, Ashok is a serviceable hero with at least the beginnings of a significant character development arc, but he lacks the kind of personality that makes for a truly engaging protagonist. Ultimately, Son of the Black Sword was an interesting read with enough top-notch action scenes to keep me engaged through to the end, but it's just a little too serious and straightforward. I didn't find any sense of wonder or awe in the magic or the monsters, no personality in the protagonist, no real appreciation for the plot twists, and no humor (ironic, self-depreciating, or otherwise) to distinguish the narrative. I don't see myself continuing with the series, but I'm certainly willing to give his other series a shot. No humor? Even serious stories need a little bit or it becomes too heavy. Since cover art is what attracts me to a book in the first place, I'd have to say that cover wouldn't draw me in. Something seems odd about it. The couple of books I've read in his Monster Hunter series were kind of fun, and I love his Grimnoir series. That one was all about very cool magic, an insane and very unique world. Maybe that's the problem, I just can't picture Correia trying to write "serious and straightforward", his stories are much better when he's letting loose. That's the Correia I was expecting to get here - macho crazy and over-the-top. This is like an early novel, from before he developed his style/voice, that he chose to dump on the market.